In his role at BSMG, Tim oversees all underwriting/risk selection operations as well as seeks out new business development opportunities therein. 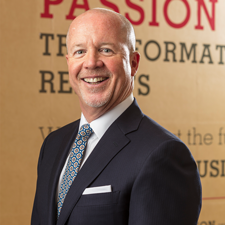 Tim brings an abundance of experience to BSMG having recently served as President of CBIZ Special Risk, a wholly owned subsidiary of CBIZ (NYSE: CBZ). In that role for 12 years, he led all risk appraisal, new business and carrier/producer relationship efforts. Prior to joining CBIZ, Tim was a Home Office Underwriter with Connecticut General and Manager of CIGNA Associates Impaired Risk Division. With more than 25 years of experience in the life insurance industry, Mr. Moynihan possesses a unique skill-set utilized to differentiate mortality risks. He has extensive experience handling difficult risks as well as working with attending physicians, medical directors, and home office underwriters on behalf of financial advisors. Tim is also a contributor to several industry publications on various insurance solutions topics. He has also been the keynote speaker for AHOU, CLU, IAFP and IRUA meetings on the subject of insurance underwriting.